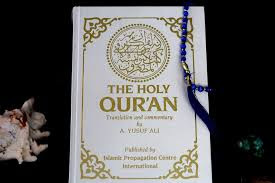 Home Quran and Hadith Quran Tilawat, Read quran, Listen quran, quran recitation. Quran Tilawat, Read quran, Listen quran, quran recitation. For humans, the greatest gift from Allah is Qur'an. The Quran has been instructed to read beautifully soundly. The Qur'an has a lot of excellence in recitation of the Quran. Gradually each word has a special significance for reciting the Qur'an by utterly speaking with its mouth. The importance of reading the Qur'an has been given importance. Because if you look at the verse of the Qur'an and hear the recitation of the verse seen in the ears, it has its effect on the eyes and ears. That effect ultimately goes to the heart and go to the seat. The Sufi scholars said that when reading the Qur'an, seeing pain or pain pain becomes better. According to Shari'ah's law, the Mustahab is sacred while reciting the Qur'an. The fear of God should be in the heart of the reading of the Qur'an. The Prophet (peace be upon him) said, 'The Qur'an The best voice of the tilawat is that person, whose record is heard by someone who thinks he is crying. - (Sunan ibn Majah) Apart from the lives of many companions, it is revealed that they used to cry aloud for the revelations of hell. .Abu Sa'id al-Khudri (ra) said, when the Prophet (peace be upon him) gave Khutbah, after reciting the verse of Sajdah, he sacrificed, and we also prostrated with him. Wajib to hear the Qur'an recitation during prayer and Khutba. However, it is the opinion of the fakihs whether it is obligatory to hear Qur'an recitation outside these two places, where the Quran is recited to recite it, there is no need to listen to the Qur'an reciting it. And wherever someone is reciting himself or many others are reciting their respect, it is not obligatory to listen carefully to silence. It is also good in that case to listen to the recitation carefully. That is why the place where people are sleeping or engaged in their work, should not recite the Quran in a loud voice. Because the people did not hear the recitation due to them The Qur'an is contemptuous. Narrated by Uthman, the Messenger (peace be upon him) said, 'The best person among you, who teaches the Qur'ân and teaches others. (Bukhari). Hazrat Aisha (ra) has said from the Messenger of Allah (peace be upon him), 'Whoever is knowledgeable in the Qur'an, on the Day of Resurrection he will be with the honored angels. And whoever tries to learn the Qur'ān, he learns to learn to become tired, that means he tries to learn, there is a double reward for him. '(Bukhari). Narrated by'Abdullah bin Mas'ud (may Allah be pleased with him), the Messenger of Allah (peace be upon him) said, In return for reading a Characters of the Qur'an, a reward will be given to him. And each reward will be increased ten times. '(Tirmidhi). Islam is not in place of terrorism and militancy. Islam does not like terrorism and militancy. Islam is the religion of peace and welfare.